How Many Senior Citizens Are Amateur Radio Operators? I know that many seniors take part in the programs offered at the Novak Senior Center, next to Lucchessi Park. Then there are the three Sons in Retirement (SIRS Branches #58, 100, 147), that meet separately on the first three Tuesdays of the month at the Elks Lodge on South McDowell Blvd. extension; plus additional senior groups in Our River Town that meet periodically at churches, coffee shops, and social halls. Other questions I have are: (1) How many members of these various groups might also be amateur radio operators? (2) How many of them might be interested in learning about the Petaluma Neighborhood HamWatch (NHW) initiative that was adopted five years ago and just conducted a radio drill during Califorinia’s Annual Great ShakeOut Day last week? According to the latest Federal Communication Commission (FCC) statistics, there are a total of 783,580 amateur radio operators licensed in the United States. Over 400 of them live in Petaluma. 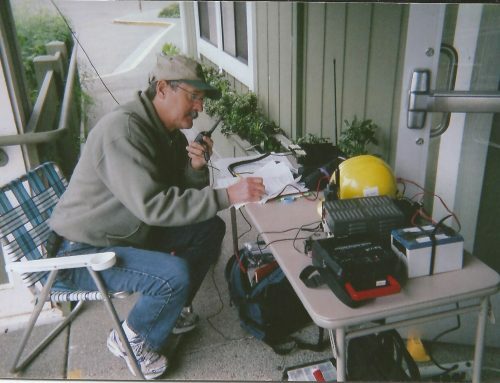 Many of them are also trained and active in organized groups that respond and deploy in the event of an officially declared disaster – the Sonoma County Auxiliary Communications Service (ACS), the Amateur Radio Emergency Service (ARES), the American Red Cross (ARC), and the Salvation Army (SATERN). Our local NHW group is simply another way in which licensed Hams, who are not active participants in these other organizations, and choose to remain in their homes and neighborhoods when disasters like Katrina, Loma Prieda and Napa strike. Just last Saturday (10-18-14), the Press Democrat article by Julia Johnson reported that “Researchers estimate Rodgers Creek (fault), which runs from San Pablo Bay to the northern outskirts of Santa Rosa, has accumulated enough strain to produce a magnitude -7.1 tremble”. Geophysicist James Lienkaemper, with the U.S. Geological Survey, said: “They are loaded for an earthquake the size of which you would expect significant damage.” WHEN, not IF this happens, how will the disaster intelligence information about the damage in our various neighborhood areas reach the City’s Emergency Operation Center (EOC), especially when all power is lost and normal means of electric communications are inoperable?